To put things short, my PC lags. It lags when I play games, when I play music, and when I watch movies. I initially thought it was a virus, and then thought it could be due to my overclock. I ran a virus scan and brought my speeds back down to stock, but I am still having these issues. I have browsed around online and have found that several other people with the same motherboard and RAM timings as me are experiencing similar problems, one being slow POST, which is another problem I am having. Other people online have said that it is due to my RAM ratio being 4:5. I haven't messed about with the ratio's at all, and I'm not sure on how to change them, etc. Could this be my problem? Hi Kai. When you say it lags, do you mean it pauses for a time after you click on a task? Even at stock you should have no problem running games or just about anything else. The first thing I's suggest is that you update your BIOS to the 2001 BIOS Release. 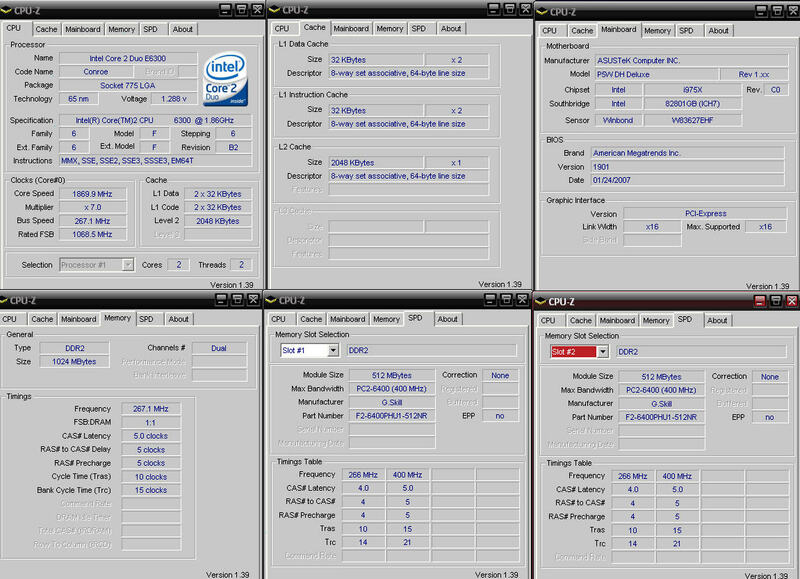 I'm having very good results with it on my e6600 ( now running stable at 3752). Last edited by Daniel ~; 22nd March, 2007 at 08:14 PM. Well, regarding the lag issues. The sound and video stutters, when my ram usage is about 50%. When I close a few applications or restart, my ram would be on 30% and no video or sound lag occurs. So I am sure it is a problem with my RAM ratio being at 4:5. My current frequency is 300mhz, and I read that when you put the ratio to 1:1, the frequency doubles, thus my RAM would be running at double the power. Correct me of I'm wrong. 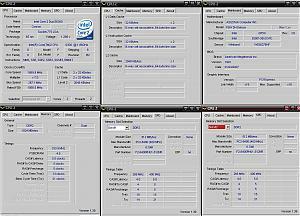 I want to know how to change the ram to 1:1, and if it effects the overclock power of the e6300. 2001 or 2004 updates are not on Asus's website, so i don't know if any of them are stable or beta versions. Last edited by Kai_2040; 22nd March, 2007 at 09:16 PM. Stay tuned Kia, I've asked cadaveca, one of our most knowledgeable members to walk you though this. Have a bit of faith and do as he asks and I think you'll see improvements. I'm not sure what he's up to, so be patient. I can tell you that I'm using the 2001 we have here at AOA files and that it is stable as far as my use reveals. okie dokie, we need some info...like what flava of Gskill PC6400 ya got there. Last edited by cadaveca; 23rd March, 2007 at 12:06 AM. Last edited by Kai_2040; 23rd March, 2007 at 12:39 AM. Yes, PC6400 is 800mhz, however, If you are overclocking, setting FSB speeds higher than default will also cause memory speed to increase, and the ram you have is not known for it's overclocking abilities. So, By setting ram @ 1:1 ratio, you get some headroom in memory speed, as well as getting the most efficient divider, as any other causes a timing offset that hampers performance, and, like in the case of 4:5, can greatly affect stability. 1:1 is the same speed as FSB, so no change or delay occuring in the signal timing, but in Core2 cpu's, this speed is 266mhz(533mhz to ram people, or pc4300). 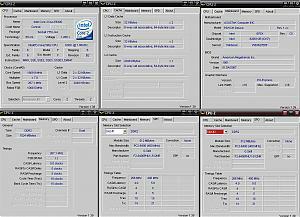 333mhz is pc5300, or 667mhz memory, and 400mhz is pc6400, or 800mhz memory, as memory work in a dual data rate fashion, or DDR. Last edited by cadaveca; 23rd March, 2007 at 12:45 AM. 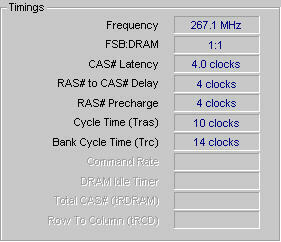 Ok, I have done as you have said and Cpuz now shows that the ratio is 1:1, although my frequency has gone lower. Is this normal? So far i havent noticed any and thanks it has solved my problems. I'll post any updates regarding RAM problems, if i experience anymore. Last edited by Kai_2040; 23rd March, 2007 at 05:08 PM. speed is lower, yes, of course. You may find that with some careful testing you could tighten latencies and get a performance boost...even from the "stock" timings of your mem. It's a long process tho, so unless you find you are having issues, simply pushing the FSB further up to boost memory and cpu speed together will see greater gains than having memspeed simply faster. You'll find most ealry-week Conroe chips do scale quite well, with more than half hitting 400FSB, and this metric does not consider problems due to other components in the system. 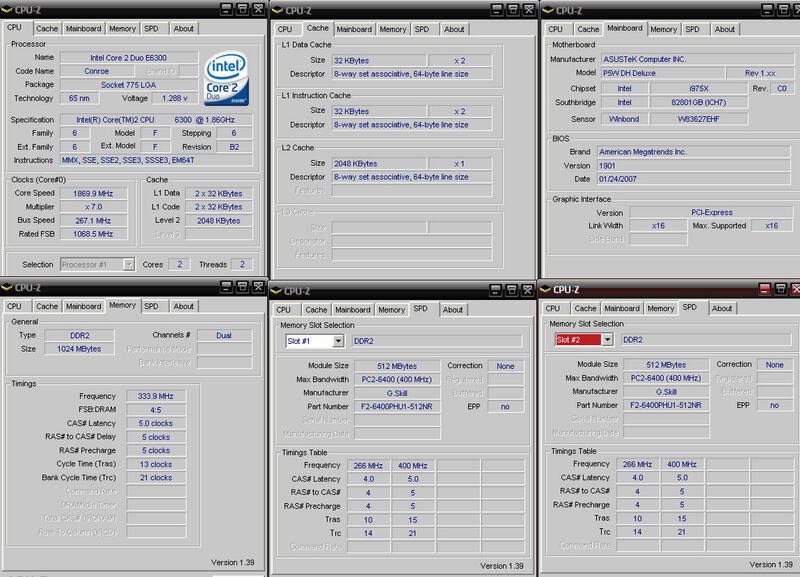 Just added images of Cpuz on last post. How do i do this? Also would it improve my RAM? Last edited by cadaveca; 23rd March, 2007 at 08:57 PM. Just read the thread! This whole scenario is Kai's own fault. Well I can't seem to find the timings settings in bios. I have searched everywhere, and still no luck. Please can somebody point me in the right direction. I am also experiencing V-core voltage errors in PC Probe. It goes down to 1.1x V and when it goes to 1.30V the alarm goes away. What is wrong? Last edited by Kai_2040; 23rd March, 2007 at 10:46 PM. It's in "Advanced" on the main header, top of first screen. Scroll down to "Chipset" . Should do it. Last edited by Daniel ~; 23rd March, 2007 at 10:49 PM. I was meant to edit that post, because i worked it out in the end. I needed to disable something like in the picture provided to me. Well here is my cpuz now. looks good. The pc probe warnings you can ignore. Thanks for all your help guys! I finally have no problems with video stuttering or audio stuttering, for now. I'll let you guys know if anything else crops up.